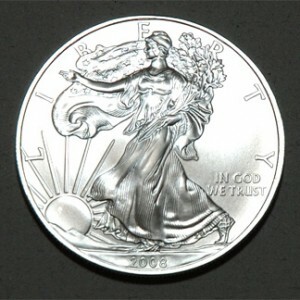 Market Bust - Breaking News From Around The Globe: Question: Is Silver Rarer Than Gold? Question: Is Silver Rarer Than Gold? But.... those are the facts as far as I can tell. In fact, above ground refined silver is about 4 to 5 times as rare as above ground refined gold and possibly up to 7 times as rare in available form. But how could that be? It really doesn't seem possible that silver which is currently selling for around U.S. $14.00 per ounce could be more rare than gold which is currently selling for around U.S. $950 per ounce. This puts the ratio of Gold to Silver at approximately 67 or in other words you can get almost 67 ounces of silver for each ounce of gold that you own. Or, put another way, gold is 67 times as expensive as silver. This would initially make me think wow, gold must be about 67 times as rare as silver. But, pricing isn't done on rarity alone. Platinum is about 30 times as rare as gold and guess what? Platinum is more expensive than gold. This makes sense. But, platinum is not 30 times as expensive as gold. How much above ground gold and silver is there? According to this site there is somewhere between 120,000 and 140,000 tons of above ground refined gold in the world today. The World Gold Council estimates there is 145,000 tons of above ground gold today. Since 1 short ton is equal to 29,166.6667 troy ounces, using a figure of 140,000 tons of gold would equate to just over 4 billion ounces of gold in the world today. Some estimates say it is as high as 5 billion ounces. So how much silver is there? According to David Morgan, one of the renowned silver investors, there are roughly one billion ounces of refined above ground silver in the world today. According to Jason Hommel, there is between 250 million to 650 million ounces of above ground silver not including silver jewelry. Jeffrey Christian of CPM Group told Resource Investor that the market has about 500 million ounces of silver total. So for the ease of calculation and conservatism we will go with the higher number of 1 billion ounces of above ground silver in the world today. So with this said, silver is 4 to 5 times more rare than gold. And yet gold is 67 times more expensive than silver. Historically, silver is found in the earths' crust in a ratio of about 16 ounces of silver to each ounce of gold that is mined. Looking historically at the silver to gold ratio, the ratio is normally much lower than it currently is. So, is silver undervalued? Is Gold overvalued when compared to silver? Can this really be true? How long can this last? How many people in the world are actually aware of this?